Yet another instance of gubernatorial indiscretion came to light this week, when Supreme Court upheld the order of Allahabad High Court quashing the UP Governor's decision to pardon a convicted murderer. 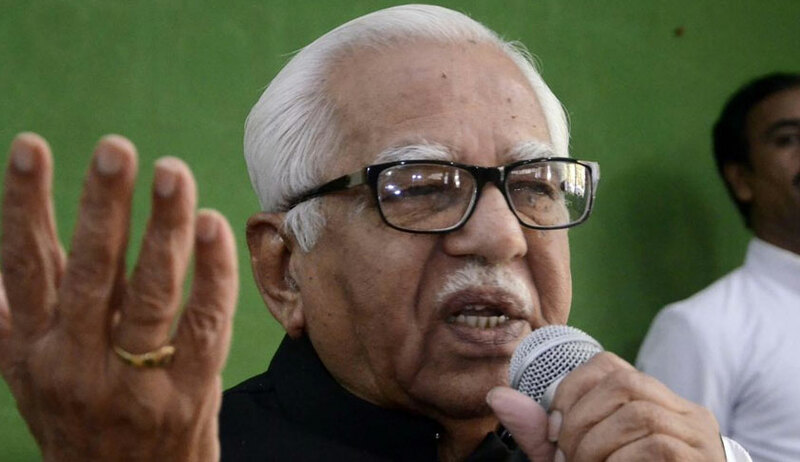 In 2017, the UP Governor Ram Naik pardoned one Markandey from Gorakhpur, who was convicted and sentenced to life imprisonment in 2009 for murder of four persons out of political rivalry. The premature release of Markandey within eight years of sentence was challenged before the High Court by son of one of the deceased person. The High Court quashed the Governor's decision, observing "We are unable to comprehend what prompted the Hon’ble Governor to exercise indulgence in his favour despite him being a hard-core criminal which is reflected from the nature of offence he has committed? ".Such sharp observations from a High Court against a Governor's decision would have been unthinkable during the beginning decades of our republic, when utmost deference to high constitutional functionaries was the norm! Though the Allahabad HC order was challenged in Supreme Court, it was dismissed in limine. The SC bench of Justices N V Ramana and Mohan Shanthanagoudar reportedly observed that the court's conscience was shocked by the premature release of the convict. This is a lamentable example of a high constitutional functionary acting with blatant arbitrariness and utter disregard for constitutional propriety. In the instant case, the Governor chose to ignore the reports of SSP and District Magistrate which had recommended against his release. There were reports that he had indulged in other politically motivated crimes as well. Also, there were recordical evidence of the person indulging in criminal activities when he was released on bail post-conviction. The crime was grave- being a quadruple murder- and had invited sharp reactions from public. Despite such overwhelming reasons to deny his pre-mature release, the Governor chose to pardon him, based on a casual reference to a hip fracture, for which no records were produced. In Maru Ram and Others v. Union of India and Others,AIR 1980 SC 2147 ,the SC said that Governor's power of pardon under Article 161 should be used on the aid and advise of the Government. However, this does not mean that the Governor should blindly dance to the tune of the political executive. In Maru Ram, Krishna Iyer J, speaking for the Constitution Bench, held that although the power under Art.72 and Art.161 were very wide, it could not 'run riot'. Justice Iyer held that no legal power can run unruly like John Gilpin on the horse, but 'must keep sensibly to a steady course'. The executive's decisions may be influenced by the political compulsions of the day. In Epuru Sudhakar v State of AP (2006) 8 SCC 1, where the SC quashed pardon granted by AP Governor, the report submitted before the governor had a mention that the convict was a "good Congress worker". In Swaran Singh v. State of U.P. (1998 (4) SCC 75) , a person convicted for murder was granted pardon within a period of two years on the basis of positive recommendations by the Government. Governors' blind obedience to such politically motivated recommendations is demeaning to the high constitutional post. Power of pardon is not a subjective act of private mercy. It is a constitutional power, which has to be exercised for public welfare. It is vested in the President or the Governor,not for the benefit of the convict only, but for the welfare of the people who may insist on the performance of the duty. This discretion, therefore, has to be exercised on public consideration alone. The executive power of pardon is intended to mitigate undue hardship in exceptional circumstances. In Narayan Dutt and others v State of Punjab (2011) 4 SCC 353, the SC noted that the Punjab Governor had entered into examination of merits of the case while granting pardon to murder convicts, and made observations regarding their innocence. This was found to be a wholly impermissible exercise, as it is within the exclusive domain of the Court to decide on the guilt of a person. The exercise of power of pardon does not overturn the judicial order of conviction. It operates on a different plane, which mitigates or set aside the punishment for a crime, eliminating the effect of conviction without addressing the merits of conviction. e) The order of the Governor was passed on some extraneous considerations. With respect to the power of remission of the Government under Section 433A of CrPC, there are certain statutory contours. A person serving life sentence can seek remission only after serving a minimum of 14 years imprisonment. However, when it comes to clemency powers of President and Governor under Articles 72 and 161 respectively, there are no such parameters prescribed. The Supreme Court has time and again declined to frame guidelines for the exercise of power under Articles 72/161, in deference to the constitutional posts of President and Governor. In the 2014 decision in Shatrughnan Chauhan case too, the SC reiterated this stand, observing that "there is always a presumption that the constitutional authority acts with application of mind". In Kehar Singh and Another v. Union of India and Another, AIR 1989 SC 653, the SC observed that the clemency function has high constitutional status, and guidelines by Court are uncalled for. The Constitutional makers would have hoped that top constitutional functionaries will be persons of eminence immune from political compulsions. But, the experiences thus far show that they falter quite often in keeping up to the constitutional standards.